Josh has studied issues of government and public policy at Ithaca College in NY, Wheaton College in MA, and most recently at the University of Connecticut as he earns his Master of Public Administration. His opinion on the issues is guided by extensive studies conducted on each topic, and he believes he puts forward a clear, helpful, and optimistic vision for the future. As your representative to the RTM, however, Josh aims to serve as your mouthpiece to the town government. If you have views or information that you would like to share, please find contact information for Josh on the home page. I believe that protecting the environment must be our top priority as a country and as a community. Our actions over the past 150 years have led to the decline of ecosystems around the globe, and climate change that now threatens our species' very existence. We must do everything in our power to cut carbon emissions, preserve the few natural lands we have left, and conserve our natural resources. I will advocate for the installation of sustainable infrastructure as your elected town representative. Some of this, like porous pavement, can both help preserve our local ecosystems and ensure that personal property is less impacted by flooding around town. I will also push for programs that will help make it more affordable for individuals to buy, lease, or otherwise utilize solar power in their homes. Furthermore, I will use my post to limit the runoff of pesticides and fertilizers into local waterways, support initiatives to make town buildings more eco-friendly, advocate for moving our electrical infrastructure underground to avoid damage from increasingly powerful storms, and more. ​To quote Walt Disney, "our greatest natural resource is the minds of our children." We must invest in this resource, significantly increase funding in public education, and implement new classroom strategies that will allow for differentiated learning. We must rethink our educational strategies and stop teaching to each test. Children learn and express their intelligence in a variety of ways, many of which cannot be measured by standardized testing, and Waterford Public Schools must do all that it can to help each student find their own success. Additionally, we must accept that not every student is going to pursue a field of study that falls squarely under the umbrella topics of English, history, science, and mathematics. We must work to prepare students for these possible pursuits, as well as work with those who wish to pursue careers in music and art, business, government, and those who may wish to master a specific trade. Cutting alternative programs that our schools offer only harms the future success of our citizens. I will fight to increase the number of alternative programs and disciplines taught at our high school. I will work diligently to ensure that Waterford is prepared for the eventual closure of the Millstone Nuclear Power Plant, which will have a severe negative impact on our town's budget if we do not begin planning now. Furthermore, Waterford must always be a town that works to provide for its citizens, and allow all boats to rise with the tide. I envision a Waterford that invests heavily in resources and services that will improve the quality of life for all, especially those most in need. As a part of this, I will work with our town's water provider to improve quality and remove cancer-causing particles found within it, support a campaign to increase awareness surrounding our recycling program, and more. I wish to support locally owned businesses over corporate chains, and will consider policy proposals with the needs of these small businesses in mind. While taking further action to eradicate poverty is difficult on the local level, I will not stand idly by while the state and federal legislature makes decisions that directly and greatly impact the people of Waterford. I will do everything within my power as a citizen and in my elected capacity to advocate for single-payer healthcare, a living wage, and tuition-free higher education at state schools. The Town of Waterford, while maintained by exceptionally bright, dedicated, and caring individuals, can always do more to increase citizen participation in town activities and decision-making processes. A large part of this comes down to better advertising what proposals are being considered by the town government at any given point in time, and giving the people of the town a better understanding of what it is that each governmental board or commission handles. The town government should utilize the internet as much as possible to disseminate this information. 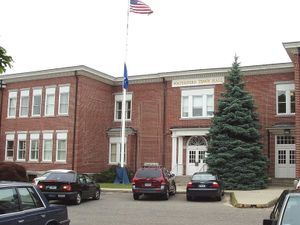 We should also make a more concerted effort to teach this information to students at Waterford High School, as many of these students will likely live and vote in the town for a large part of their adult lives. When the people have a greater knowledge of the government and its inner workings, they will have a greater appreciation for the work done by our elected and appointed officials, and in turn more individuals will want to and feel comfortable with being involved in their community. 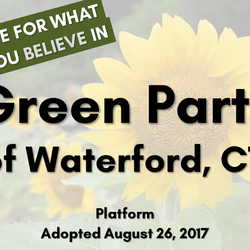 I also believe that the Town of Waterford must make progressive movements towards political inclusion. For too long, the American political system has been geared to serve only two parties and, in turn, only two ideas on any one issue at a time. This occurs because our current system of voting, called "First Past the Post", where the candidate with the most votes wins regardless of whether or not a majority of the electorate supported their candidacy. I will advocate for the installation of ranked-choice voting, called "Instant Runoff Voting". This will allow individuals to express support for more than one candidate on the ballot, as well as ensure that the candidate with the largest amount of support across the community will win out over all others. In 2017, Josh ran for a seat on Waterford's Representative Town Meeting, the town's legislature, from its third district. Josh won a seat on that body after receiving more votes than any other candidate, with over 60% of all voters in his district choosing to vote for him. He is joined by Pat Fedor (R), Paul Goldstein (R), Richard Muckle (R), Marc Balestracci (D), and Beth Sabilia (D) from his district, and many more from the rest of the town. His campaign in 2017 reached over 95% of registered voters in District 3, and he knocked on over 1,500 doors to talk to constituents as he went along. Josh's campaign primarily focused on governmental transparency, environmentalism, and the local economy, and he sent his first legislative proposal to the RTM's moderator in January of 2018. You can follow all of his proposals here. Josh welcomes all questions and comments about legislative matters, and encourages you to contact him at 860-912-7624 or joshuasteelekelly@gmail.com if there is any way he can help. Josh first ran for office in 2015 for an alternate seat on the Waterford Zoning Board of Appeals. He won, and became the first elected member of a third party in Waterford's recent history that year. He served on the ZBA until he was elected to the RTM in 2017, as the town charter does not allow individuals to hold two elected positions at the same time. 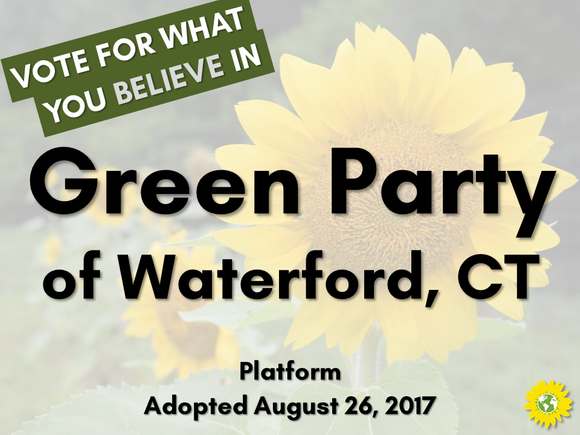 In his campaign for a seat on Waterford's RTM, Josh has was endorsed by the Waterford Green Party, the Waterford Democratic Party, United Auto Workers Region 9A, the American Federation of Teachers CT, NARAL CT, and AFSCME Council 4. These endorsements serve as a testament to Josh's commitment to his ideals and his ability to foster multi-party cooperation, and he was the only individual to run for a seat on the RTM from the third district to have endorsements from community organizations.